Atom Dock has been become my favorite dock for all Linux distribution that I try. I tried to install Atom Dock on my Fedora 23 Workstation. The installation went well, but I cannot run Atom Dock on my Fedora 23. I cannot enable this Dock from Gnome Tweak Tool. 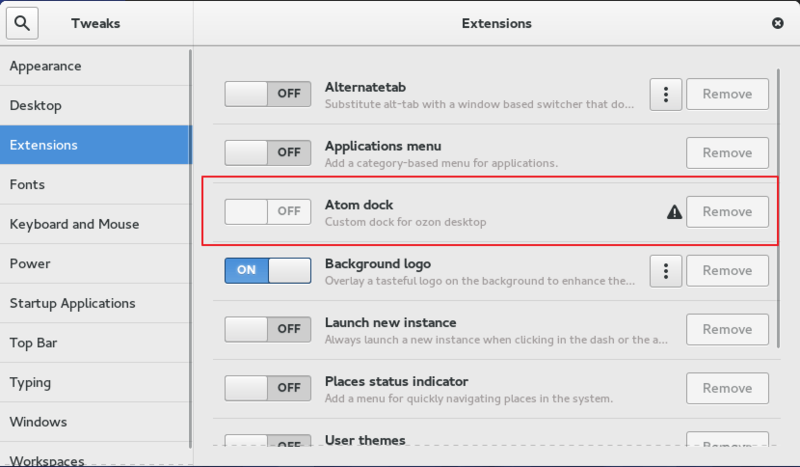 As you can see, Atom dock is listed under Extension on my Gnome Tweak Tool but this button is disabled. I still cannot find out why and how to solve this.